The Mission of Financial Services is to record, report, and safeguard the fiscal assets of the University. In carrying out this mission, Financial Services performs the following functions: Accounting Services, or the coordination and planning of all University accounting functions including state and non-state current funds. Loans, endowment, physical plant, and agency funds; Financial Planning and Budgets, or long and short term planning, budgeting and financial analysis; Bursar Operations, or the cash management of all student accounts receivables and loans; Contracts and Grants, or fiscal support activities for research and sponsored programs; and Systems and Procedures, or the planning design, implementation, and maintenance of computer systems and administrative procedures for all areas of Business Affairs. 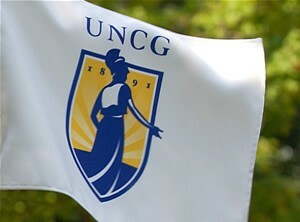 In supporting the academic mission of The University of North Carolina at Greensboro, Financial Services provides fiscal management that ensures appropriate internal controls and fair representation of the financial position of the University.